Pioneers in the industry, we offer combi oven, middleby marshal stainless steel gas conveyor oven, waffle maker toastermaster, 2 deck oven with steam toastmaster and rational combi oven from India. This Middleby Marshall PS520G, known as a countertop conveyor oven, has 40,000 BTU. This unit has a +200°F to +550°F temperature range. This Middleby Marshall PS520G requires a 208V connection and is field convertible from natural to LP gas. This model can cook up to (26) 18" round or (30) fresh dough pizzas per hour. 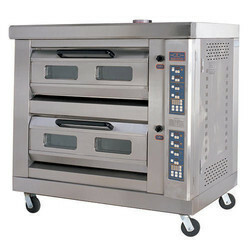 This double stack pizza oven, Middleby Marshall PS520G has an all stainless steel construction. 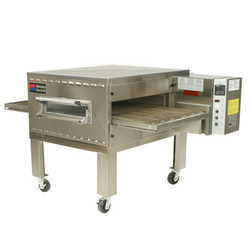 This unit has a 42"Lx18"W conveyor belt to accommodate 1⁄2 size sheet pans. This pizza oven Middleby Marshall PS520G has a reversible belt direction. This unit includes a 12" extension tray. This Middleby Marshall PS520G has an adjustable opening from 21⁄4" to 33⁄4". This unit is 351⁄4"Wx42"Dx3611⁄16"H and weighs 650 lbs. Central Restaurant Products offers this Middleby Marshall PS520G with an exclusive 1 year parts and labor warranty. 351⁄4"Wx42"Dx3611⁄16"H, 40,000 BTU, 650 lbs. 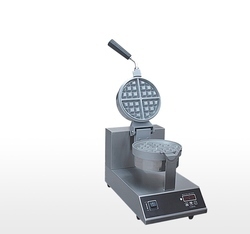 A choice of waffle irons & cone bakers from Toastmaster that accept deep-frozen, frozen pre-cooked waffles or home-made batter for making golden crispy waffles. Keeping the track of latest happening in this domain, we manufacture and supply the superior quality of Rational Combi Oven. Used for cooking purposes in hotels and restaurants, the rendered rational combi oven is available with us in various technical specifications. 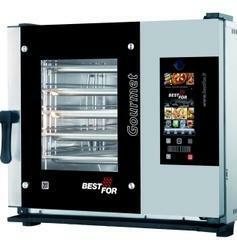 Its high performance, easy maintenance and compact design, make the rational combi oven highly demanded. Looking for Combi Ovens ?